Detained community police leader and activist, Nestora Salgado, is to be released, according to legislators. For those of you who are not familiar with the story of Nestora, here is a little background excerpted from the Forum article. To read the entire article go to the Forum hyperlink above. At first, the 41-year-old mother of three was, in the words of a supporter, “a sensation” in her mountainous Guerrero homeland, where she returned recently after 20 years in the United States. As she led this remote town in an uprising against vicious criminals, she was fierce, confident, and charismatic. “She had more right to be the leader because she has more guts than any man,” said villager Marisela Jimenez. And, as church bells tolled in solidarity, they came out, by the thousands. Within days, they had expelled many of the crooks, villagers say. Today, Salgado sits in a Mexican penitentiary, far from her home and her people, accused of kidnapping and guilty, certainly, of having run afoul of a clash of cultures, politics and generations-old clan rivalries. According to authorities, "It was around 21:20 hours during one of the cell checks, of the high security module, a guard noticed that Jiménez Zavala, who was in his cell, was convulsing, so he immediately sought help and transferred the inmate to an area hospital. The prosecutor said in a statement this afternoon. " in the field CPR was applied, then an ECP (electrocardiogram) confirmed that there were no vital signs,"he added. Once the prosecutors testified to the facts, the body of the inmate was taken to the Medical Examiner about the 1 AM hours of the morning for autopsy could be conducted. MariselaEscobedo was murdered the night of December 16, 2010 before the doors of the Government Palace of Chihuahua, when she was protesting, demanding justice for her daughter Ruby Fraire Escobedo. Her teenaged daughter was tortured and killed by her boyfriend, Sergio Barraza Bocanegra, alias 'El Piwi' in Chihuahua in 2008. Marisela never gave up her fight for justice in her daughters case. 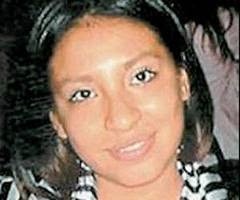 Barraza Bocanegra confessed to her murder, and gave details to police. He was tried but incredulously, was found “not guilty” by a panel of judges. A devastated Marisela continued her fight and was doing so in December 2010 when she was gunned down, her assassination captured on video, in front of the government palace of Chihuahua. El Piwi, Rubi's boyfriend, moved to Zacatecas after his release, where he married and allegedly continued his work with Los Zetas. He was killed in November, 2012, in clash occurring with elements of the Army , on a road linking the towns Joaquin Amaro and Tabasco. 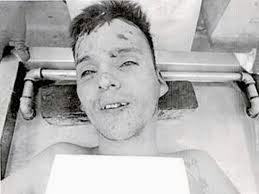 With the deaths of Sergio Barraza Bocanegra, and Jiménez Zavala, Marisela posthumously attained some level of justice. Brother of Candidate for Mayor of Coyuca, Guerrero Arrested, Wanted by U.S. The National Commission of Security (CNS) informed that Ramiro Montúfar Burgos, arrested last weekend along with five men in the municipality of Coyuca de Catalán, has an arrest warrant in the United States for drug trafficking. 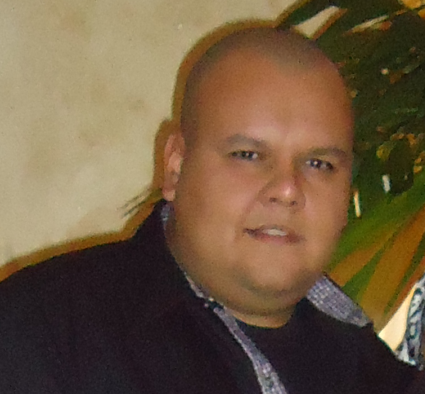 The brother of the PRD candidate for mayor, Cuauhtémoc Montúfar, and cousin of the sub-delegate of the SEDATU (Secretary of Agrarian, Territorial, and Urban Growth) in Guerrero, Erit Montúfar, is noted by the federal government for his alleged nexus with a criminal gang known as "Las Moscas", led by the Ramiro brothers and Ricardo Torres, who are accused by the Attorney General of the Republic (PGR) of being in charge of the collection and transfer of drugs from the Tierra Caliente region to southern United States. 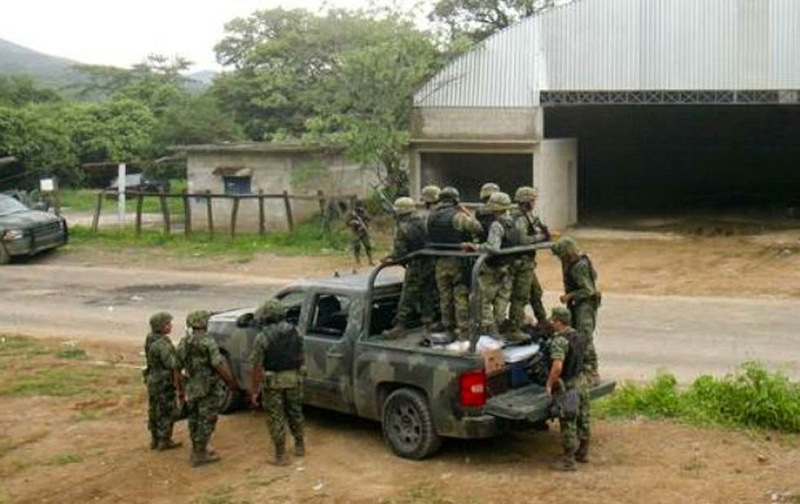 The criminal gang "Las Moscas" forms part of the structure of the group of "Los Caballeros Templarios", who has under their control five of the nine municipalities of the Tierra Caliente of Guerrero: Pungarabato, Coyuca de Catalán, Zirándaro, Tlapehuala y Ajuchitlán del Progreso. The rest of the territories are dominated by the group "La Familia", which has their bastion in Arecelia and the Jalisco Nueva Generación cartel, seated in San Miguel Totolapan. In the communication emitted on Tuesday, the CNS confirmed the detention of six armed suspects in the municipality of Coyuca de Catalán. Morelia, Michoacan.-José Manuel Mireles Valverde, leader of the AUC in Tepalcatepec, on 27 December has spent six months in prison after being arrested for alleged possession of weapons for exclusive use of the Army and for crimes against health. On July 6 a detention order was issued and it was ratified it on 17 October. The allegations were also filed against his three bodyguards. On 27 June this year, during an operation comprising 600 State and federal elements in the community of La Mira,Dr Mireles was arrested with 80 self-defense forces , all accused of the offences of possession of firearm used exclusively by the Army. A day earlier they had entered the coastal town to clean the area of organized crime. 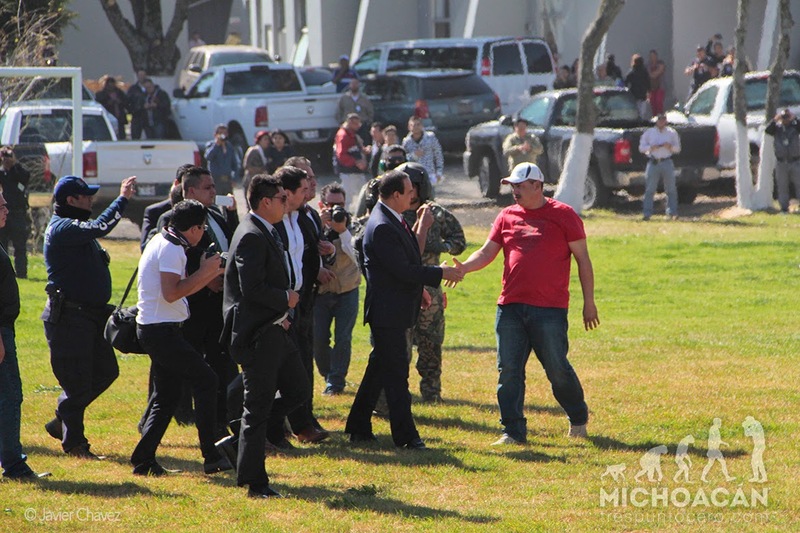 Dr Mireles and his bodyguards were transferred to the Federal Center for Social rehabilitation (Cefereso) number 11, located in Tepic, Nayarit, while the other self-defense forces were detained in the Prison better known as 'Mil Cumbres”, in the Michoacán capital. His lawyer, Talía Vázquez Alatorre said that the capture of the leader of the movement of self-defense and his bodyguards was not prosecuted by the justice systems, nor was it carried out by elements of the Attorney General of Justice of the State (PGJE) or of the Secretariat of public security of Michoacan as was assumed, but by the Mexican army. 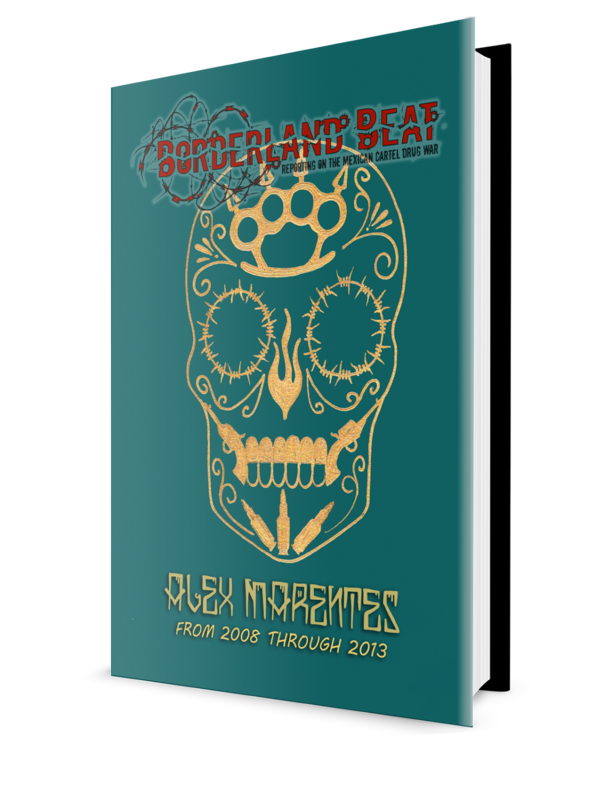 ( authors note : the mexican judicial system and the army have different jurisdicitons). 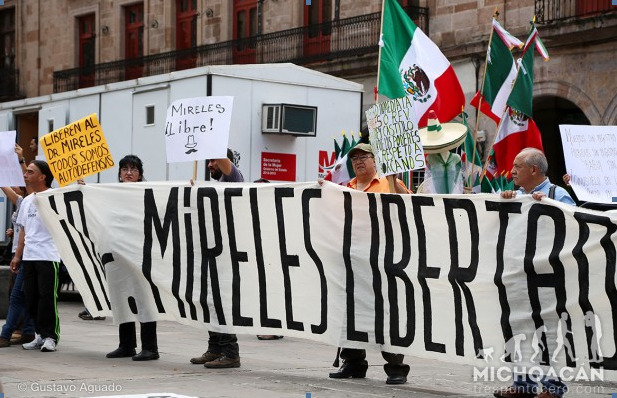 Through a press conference, the lawyer found irregularities with videos of the moment of detention, which also will serve as evidence that Mireles was subjected to psychological torture and that the truck where they allegedly found weapons of exclusive use of the army and drugs, had been manipulated. Regarding the allegations of torture, Mireles Lawyer emphasized that images of the scene of his arrest from Televisa, show Mireles appearing hooded whilst his three co-defendants were not. 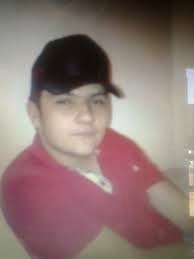 Simon Torres, also know by 'El Americano', is in custody along with 9 of his men. He was taken into custody by the PGJE agency. The PGJE is the agency that called for Americano's statement after the Borderland Beat image of him, Tuta and the Los Viagras leader went viral. The result of that interrogation, ("not me", said Americano) and after "extensive forensics of the photo", the PGJE agency ascertained it was not him and he was released without further investigation. The agency never made public their forensic proof. That is the same agency who has him and the others in custody. 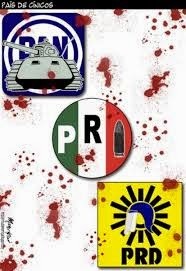 There is a striking difference in the treatment of this man opposed to autodefensa leader Dr. Manuel Mireles Valverde. Americano is alleged being in control of the majority of synthetic drug labs in Michoacán, suspected of controlling the majority of labs and in collusion with or a part of Los Viagras Cartel. The crimes he is suspected of is murder, from the December 16th attack on Hipolito Mora, at Mora’s home. Contrariwise, Dr. Mireles was arrested from unlawful possession of weapons, although he had none when arrested. 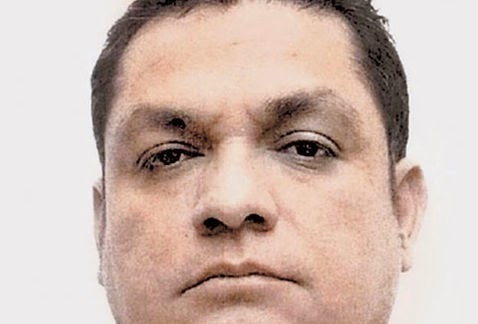 Last week, I posted the article "Miscellaneous News from Coahuila" in which I reported that Salvador Ríos Núñez was arrested in Piedras Negras by the Group of Specialized Arms and Tactics (Grupo de Armas y Tácticas Especiale, known as GATES) and that they claimed that he confessed to being a financial operator for Los Zetas. Salvador Ríos Núñez is the son of Juan Ríos, a native of Piedras Negras, Coahuila and former Judicial Police officer who passed away in 1984 due to complications from diabetes. 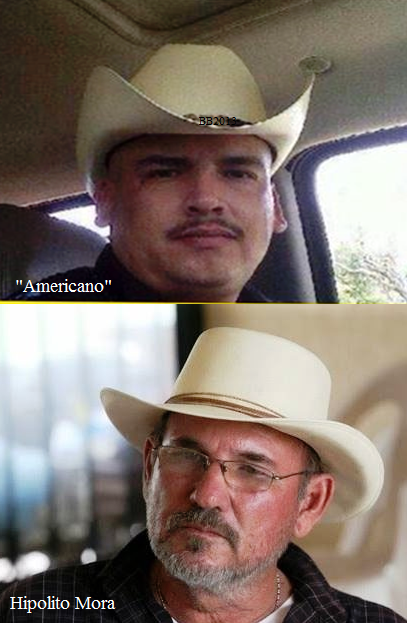 Despite sharing the name with Salvador "Chava" Ríos, the former sheriff of Maverick County, Texas, of which Eagle Pass is the county seat, there is no family connection between the two individuals. The authorities report they have the location of Luis Antonio Torres alias 'El Americano' and 2 dozen members of his ‘group’. Further they reported his arrest is imminent. This was announced by Alfredo Castillo Cervantes, commissioner for Security and Integral Development in Michoacán adding elements of federal and state forces are waiting to receive the order to stop Torres. Hipolito Mora is a commander in the Rurales force. It has been noted that the press continues to label the men as ‘vigilantes’, without mentioning the men were not of the self-defense movement but were a part of the President Peña/Commissioner Castillo force. Torres had a deadline to be delivered no later than Saturday, the day Hipólito Mora Chavez and his 26 men surrendered. The warrants were issued after the December 16th confrontation in La Ruana, municipality of Buenavista. El Diario.mx (December 28, 2014) Source: Reforma. Translated by un vato for Borderland Beat. MEXICO, D.F., December 21 .-- Was Mexico able to transition from an authoritarian regime, in place for more than seven decades, to a real democracy? Does the political regime that prevails today fully represent the opinion of the majority and is power exercised from the perspective of the general interest? Did the Mexican transition culminate? Are we still in it, or, in light of what we are living today and the perspective that is glimpsed, would we have to say openly that the transition failed? Necessary questions that Carmen Aristegui formulates in her new book, Transition. Essential questions that every citizen who worries about his country's fate should ask himself. Definitive questions to be able to take a position on the political reform initiatives proposed by Felipe Calderon. Because the words used to describe the Mexican political system are a metric and thermometer of disillusionment. Words such as incomplete democracy. Truncated transition. Failed representation. Institutionalized impunity. Simulation. Regression. Instead of responding to public interests, politics promotes private interests. Instead of solving problems, the institutional framework kicks them forward. Instead of generating incentives for representation, current rules prevent that from happening. Instead of empowering citizens, the transition ends up elevating oligarchs. Like Juan Pardinas suggests, Mexican democracy is a "green dog". It is too exotic. It is the only one in the world -- except for Costa Rica --in which reelection of legislators or municipal presidents does not exist. It is one of the few that do not allow citizen candidacies. It is exceptional for the absence of the referendum. It is unusual for the prohibition against "citizen initiative". Hipólito Mora Chávez, founder of the autodefensas of La Ruana, arrived in the city of Morelia after having been detained and was taken to the prison “David Franco Rodríguez”, also known as Mil Cumbres, where he will be made available before a judge, as well as the other 26 who were also apprehended for the shootout of La Ruana that left 11 dead. 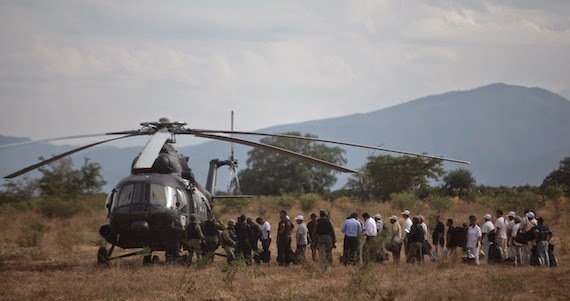 Hipólito was transferred via a navy helicopter of La Ruana to Morelia, where he was received in a PGJE hanger by the head of the agency, Martin Godoy Castro. 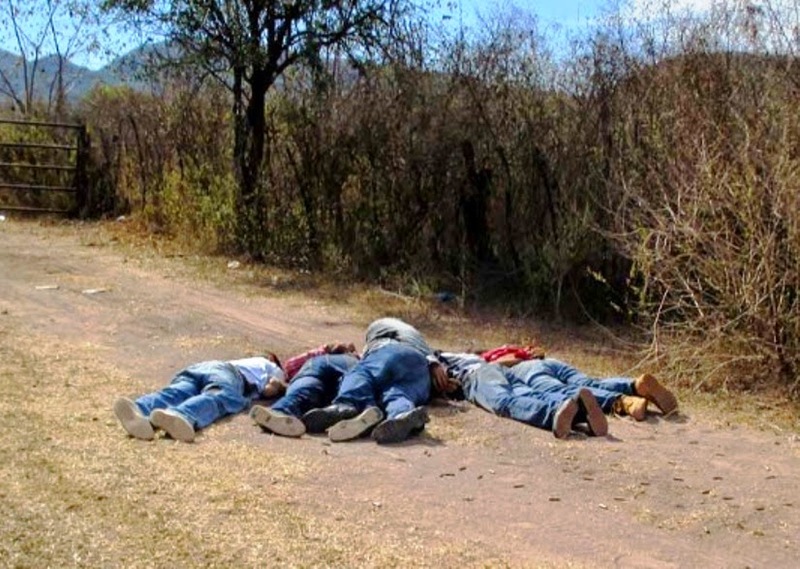 The Commissioner for Security and Integral Development of Michoacán, Alfredo Castillo Cervantes, confirmed today (Saturday) in his Twitter account that Mora and the other 26 who were involved in the shootout came voluntarily before the agency. He noted that the judge would resolve the legal situation in 72 or 144 hours. “The judge will resolve their legal status in 72 or 144 hours at the request of those presented in order to offer any evidence,” he wrote. The leader of the Michoacán autodefensas was transferred to the prison Mil Cumbres, along with six of his men. Moments before, 20 others had arrived. The former autodefensas leader earlier told local media that they would turn themselves in voluntarily because they trust the authorities and that they are acting within the framework of the law. 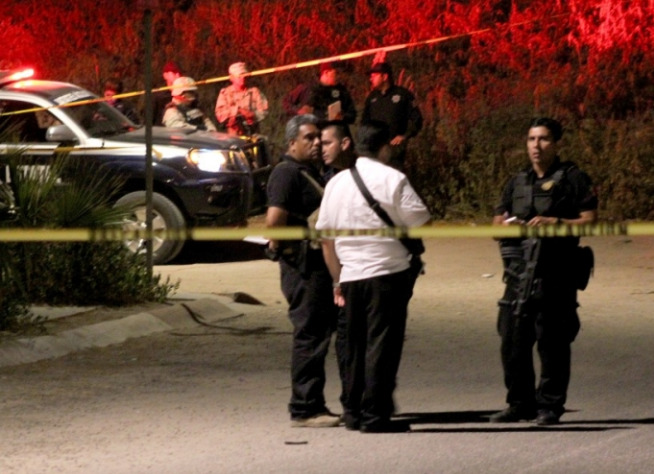 Culiacán, Sinaloa-A total of 18 intentional homicides, five vehicle thefts, four people dead in traffic accidents, and three robberies at business premises was the balance left post Christmas in Sinaloa. At least eight of the murders are related to each other, and according to the preliminary investigations were related to rivalries between organized crime groups. Gerardo Vargas Landeros, Secretary General of Government described these events as "painful facts" and recognized that the reported killings were due to "criminal rivalries"
Aside from those facts, he said that in "general terms, Sinaloa is OK". Buenavista, Michoacán.- Hipólito Mora Chávez, founder of the autodefensas of La Ruana, confirmed that he’ll testify before a judge this Saturday for the confrontation that occurred December 16, in which 11 people died. Meanwhile, on Friday night, various roadblocks were reported in the Tierra Caliente region, the first on the road Cuatro Caminos-Apatzingán, at the height of the town of Úspero, municipality of Parácuaro. The roadblocks are being carried out by the people of Luis Antonio Torres “El Americano” and Jesús Valencia, “El Ocho”, who also blocked the entrances to the municipality of Buenavista Tomatlán and La Ruana. This occurs just after Friday, when the deadline expired that was set by Commissioner Alfredo Castillo Cervantes, so that those involved in the shootout that occurred on December 16 would present themselves to testify voluntarily. The commissioner warned that arrest warrants would soon be issued against those who have not testified voluntarily. 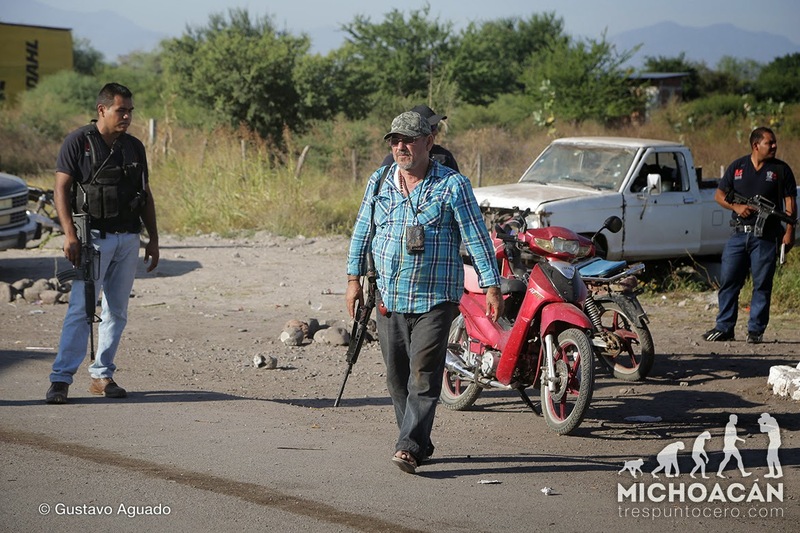 According to information from Radio Formula, an audio recording intercepted by people related to the founder of the autodefensas, “El Ocho” ordered the peaceful roadblock and said that he would go after Hipólito and his people. Meanwhile, Hipólito said that he would hand himself over along with his supporters, even though the death threats from “Simón El Americano” are upon them. 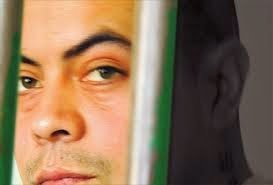 Through social media, Hipólito said that he is waiting for authorities to arrive at his home to transport him and his followers to the appropriate judge. A reader posted a comment posted on one of the stories I posted this week about the kidnapping and murder of Father Gregerio Lopez and in the comment said “Padre get ur guns”. That comment made me start thinking about a story I posted last year on the Forum that was entitled “Priests Demand Protection From Violent Extortionist; Except Padre Pistolas. He Can Defend Himself”. The story deals with brave priests and Bishops all across Mexico and their stand against violence and the cartels and corrupt government. One of the most interesting and unusual is a priest by the name of Alfredo Gallegos Lara, better known as Pistolas Padre. 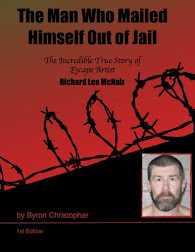 He is dealt with at length in the story and I thought new readers of Borderland Beat and some long time readers that don’t read the Forum.might enjoy reading the story. So here is the story from the Forum from Feb. of 2013. Bishop Jose Flores Preciado, 83, died on Feb. 6, after being beaten by several assailants during a robbery at the Templo de Cristo Rey in the city of Colima. 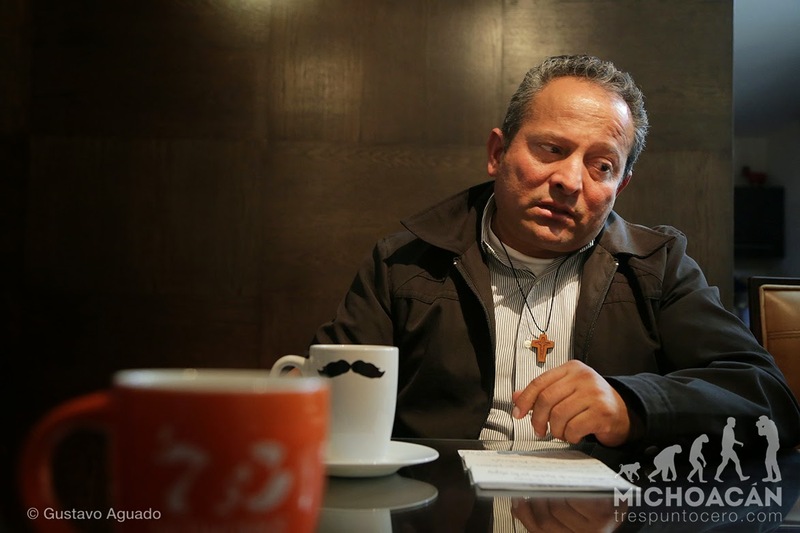 The day after the killing, Bishop Jose Luis Amezcua Melgoza revealed that of the 123 priests in the diocese of Colima, 30 had been the victims of attempted extortion, including himself. Cruz Alonso Lozoya Uriarte "El Grande". Seido is now targeting "El Grande". After the capture of Víctor Barraza Martínez "28" and his transfer to the Base of the SEIDO team, they now want to detain Abel Nahum Quintero Manjarrez or Cruz Alonso Lozoya Uriarte. For this purpose the SEIDO opened the inquiry PGR SEIDO/UEIDCS/605/2014. After the capture of Víctor Barraza Martínez "28", "El Vidal", on November 26, 2014 at a safe house in the calle Gilberto Mendoza of the Civilizadores de la paz settlement, the attorney specializing in investigation of organized crime (SEIDO) initiated and launched a special operation that hopefully leads to the arrest of Abel Nahum Quintero Manjarrez or Cruz Alonso Lozoya Uriarte "El Grande". 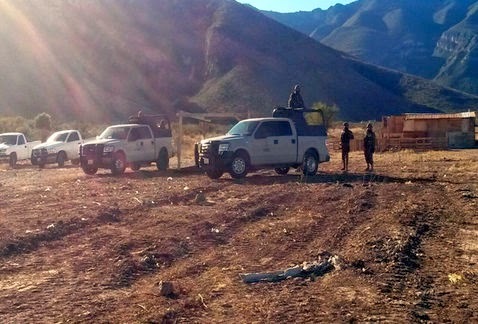 According to federal and military authorities, El Grande is considered the ringleader of the second para-military Cartel Cell responsible for the wave of violence plaguing the capital of Baja California Sur since July 31st. 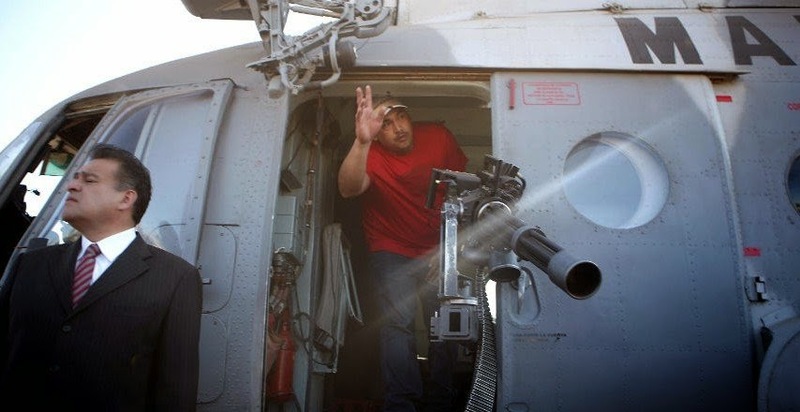 On the day of his capture, "28" revealed that both he and "El Grande", were part of the military arm of the Organization of Dámaso López Núñez "El Licenciado" and Dámaso López Serrano "El Mini Lic" in the city of La Paz, with the same hierarchical level within the Special forces of Dámaso headed by Edgar Amilcar Acosta Reyes "El Rey"; having a group of between five and ten Hitmen hired specifically to murder their rivals, at the service of Rolando González Moreno "El Compadrón" and Luis Antonio Montoya Beltrán "Montoya", "Don Carlos", or "El Artista",from Ismael "El Mayo" Zambada's organisation. 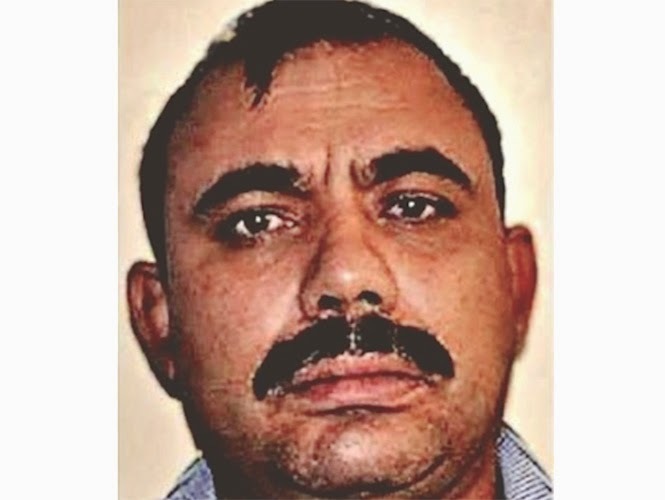 The U.S. Federal Bureau of Investigation is looking into a claim made in a call to a Texas border town police department that a Mexican organized crime cartel has kidnapped a U.S. Border Patrol agent, officials said on Friday. U.S. Customs and Border Protection officials added there are no reports of any of its 3,100 Border Patrol agents assigned to the Rio Grande Valley sector in south Texas being missing. "Until we rule it out, we treat it as a true kidnapping," said FBI Special Agent Michelle Lee. Chris Cabrera, a representative with the National Border Patrol Council, which represents Border Patrol agents, told Reuters concerns began with a phone call to police in the small town of La Joya. "Someone called in and started out reporting some sort of activity, and the call then turned into threats against law enforcement, threats against the dispatcher, and ultimately threats against law enforcement in general," Cabrera said. "He then claimed to have an agent that was kidnapped that he planned to kill, and he claimed to work for one of the cartels." Cabrera said if there is a kidnapped agent, it could be someone not assigned to the Rio Grande Valley sector but in the area for a holiday visit. Around 8:30 PM on Monday, December 22, 36 year old Irma Esparza Rivera was shot to death on Ocampo street, across the street from the bus station, in Ciudad Acuña. Witnesses report a vehicle passing by shot at her as she was outside the restaurant. She was hit by four bullets in her body and managed to make it into the building, where she died. Moments later, a 25 year old male was shot to death in Capistrano colonia. La Jornada reports that, according to state officials, both individuals were immigrant smugglers. 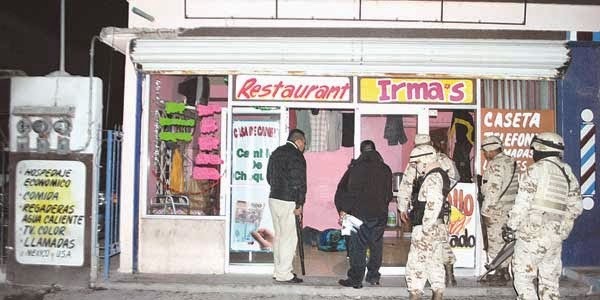 That same night, based upon an anonymous tip, Marines searched a location on Calle 17, in the Ampliación Morelos colonia of Saltillo, located on the eastern side of the city, near the Sierra of Zapalinamé. There they found five burned bodies that were buried in two clandestine graves located within yards of each other. Though no connection was reported, it is worth mentioning that on December 18 a body was found buried at a residence in the Jardines Coloniales colonia of Saltillo. 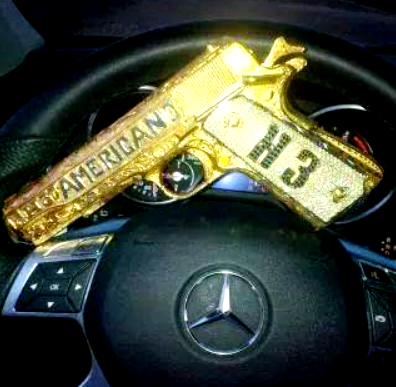 Members of a Gulf Cartel kidnapping cell were arrested in connection with that finding. On Tuesday, December 23, the Group of Specialed Arms and Tactics (Grupo de Armas y Tácticas Especiale, known as GATES), while on routine patrol, noticed a speeding Chevrolet Silverado with Texas license plates on the Manuel Pérez Treviño bypass in the Guillén colonia of Piedras Negras. As they attempted to stop the vehicle, the driver attempted to flee, but the police were able to stop the vehicle on República boulevard in the Tecnológico colonia. Upon inspecting the vehicle, the police found an AK-47 which was loaded with an ammunition clip containing twenty-four rounds, three other ammunition clips with thirty rounds, as well as packets of cocaine and marijuana. The driver of the vehicle, 33 year old Salvador Ríos Núñez, a Mexican citizen living in the Guadalupe subdivision of Piedras Negras who also holds United States citizenship and owns a home in Eagle Pass, Texas, was arrested and confessed to being a financial operator for Los Zetas. 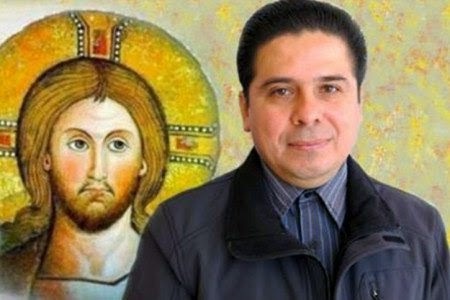 The priest of Michoacán town of Apatzingán, Gregorio Lopez Jerome, known as "Father Goyo" revealed his colleague Gorrostieta the priest Gregorio Lopez, know in his community as "Goyito" whose body was found yesterday, was killed at the hands of organized crime. His battered body was thrown on Iguala-Ciudad Altamirano Federal Highway of la altura de Tlapehuala with a gunshot to the head. The Father "Goyo" said in a message sent to the agency Quadratín that it was the repudiation of the Guerreros Unidos, that led to the death of the priest Gregorio López Gorrostieta, of Ciudad Altamirano, Guerrero. “My namesake, accused these criminals in his homily last Sunday 21st for the disappearance of 43 students from Ayotzinapa, however, in the aftermath of this abominable event, the Catholic Church must continue speaking out and denouncing all arbitrariness and violation of fundamental rights". As I reported yesterday, Christmas Day, Father Gregorio Lopez Gorosheta was kidnapped from the Seminary in Altamirano, Guerrero early Monday morning by a group of armed men. The Bishop of the diocese pleaded on Facebook and other media for his release and announced a march was to be held on Dec. 24 to seek his release from the kidnappers. The march was held despite the rain, with the Bishops and priests from around the area and adjoining states leading the march of Catholics. But to no avail. The lifeless body of Father Lopez with a gunshot wound to the head and signs of torture was found about 3:PM Christmas Day near the town of Tlapehuala, in the region of Tierra Caliente. on a stretch of road that connects Ciudad Altamirano with the municipality of Arcelia, Guerrero. The Cathedral of Ciudad Altamirano through its Facebook account, Father Xavier, confirmed the murder of the priest. "Today communicate with deep sorrow that our brother Gregorio López Gorostieta father departed to his father's house. With faith I can say that he is enjoying the presence of God" published. No motive is yet known for the murder. 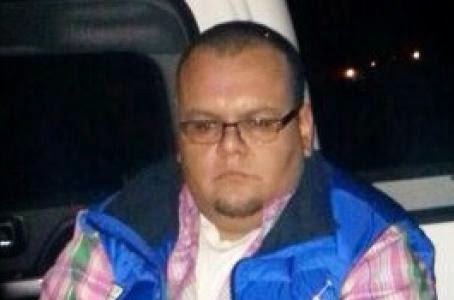 The Attorney General of the Republic (PGR) , in coordination with the Marines , arrested Omar Espejo Flores , " El Toro", an alleged operator for Cartel Jalisco Neuvo Generacion, he is presumably responsible for the disappearance of two members of the Agencies criminal investigation department (AIC) , in Vista Hermosa Michoacán in November 2013. 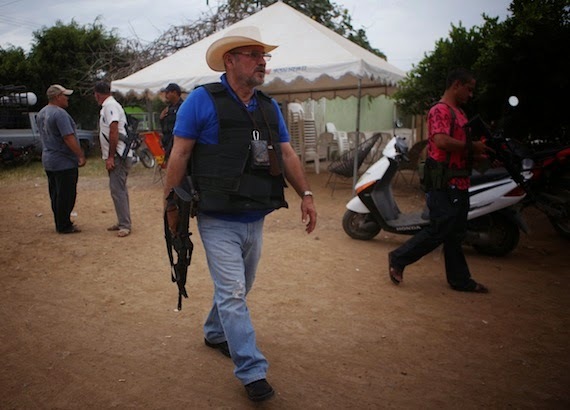 Tomás Zerón, director of the AIC of the PGR, reported that Espejo Flores was coordinating the Halcones and groups of Hitmen in the Jalisco municipalities of Ocotlán and La Barca, Briseñas; He also did it in the michoacana town of Vista Hermosa. 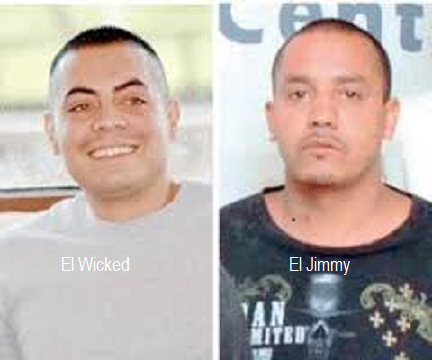 Other criminal activities in which El Toro was involved, was the collection of piso ( extortion ), oil theft and drugs.The official said that the detainee was involved in the kidnapping and disappearance of agents René Rojas Marquez and Gabriel JAWS Santiago, on November 3, 2013, in Vista Hermosa. To date the whereabouts of these two personnel of the Agency is unknown, they were searched for in clandestine graves that were discovered at La Barca. Last year, the Office of the Attorney-General found 64 corpses in 35 clandestine graves in the municipality of La Barca, as part of the search for the Federal Police,the work concluded almost a month later.